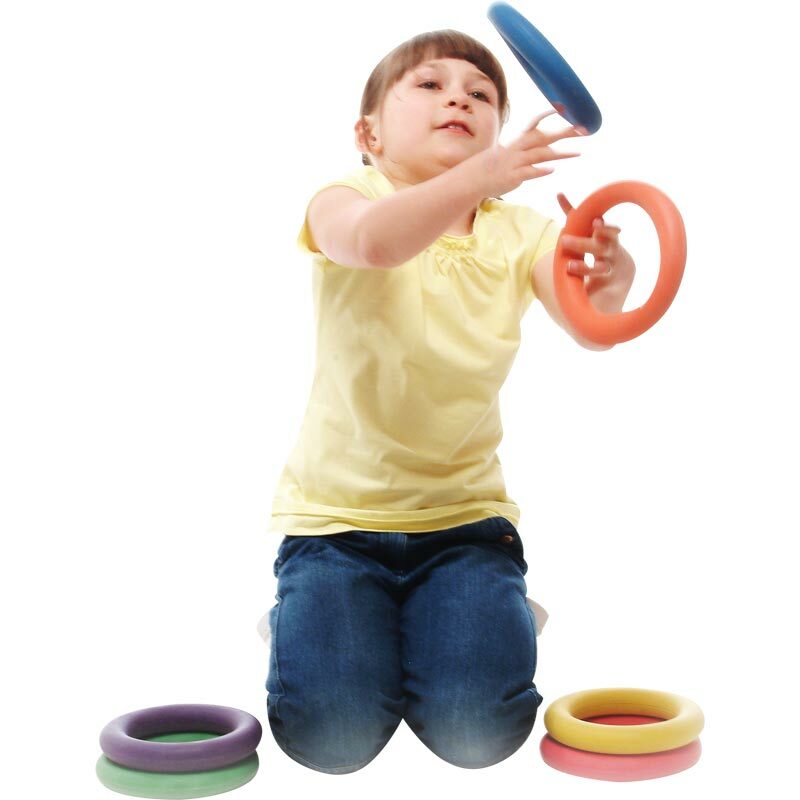 The PLAYM8 ® Rubber Quoits can be used in a variety of indoor and outdoor games. Suitable for throwing, catching and target activities. 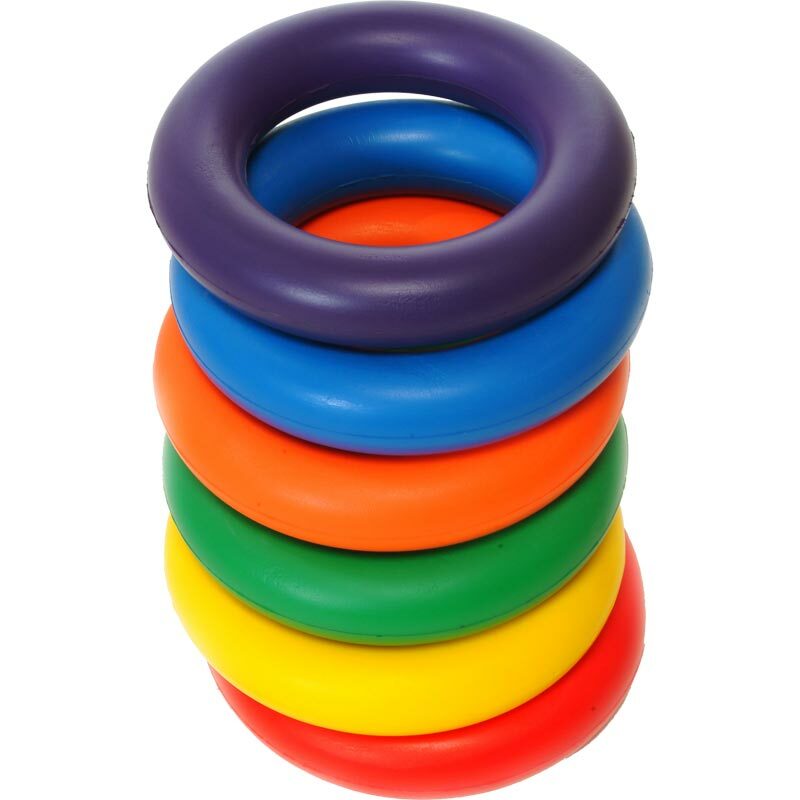 Perfect for use in the games quoits where rings are thrown at a a stake or post. Each set consists of 1 x Red, Yellow, Blue, Green, Purple and Orange.